Meet the team! 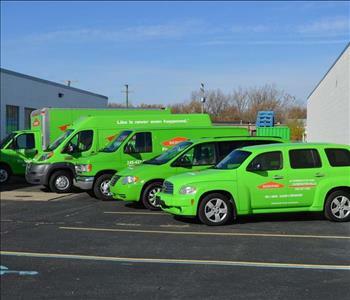 SERVPRO of Rochester currently has 23 employees and we have been in business for 15 years! 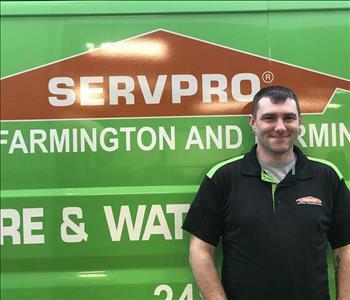 James has 16 years of experience with SERVPRO. James has the following certifications from the Institute of Inspection Cleaning and Restoration Certification (IICRC) Applied Structural Drying Technician - ASD, Water Damage Restoration - WRT, Fire and Smoke Restoration - FSRT, Health and Safety - HST and Xactimate proficient. He ensures that quality production is performed on all jobs. He is responsible for proper mitigation of damage to walls, ceilings, windows, and room accessories to remove the effects of water damage such as mold, and moisture. His time in the field has cultivated a talent for customer service, earning the trust and loyalty of our customers, contractors and adjusters he works with. 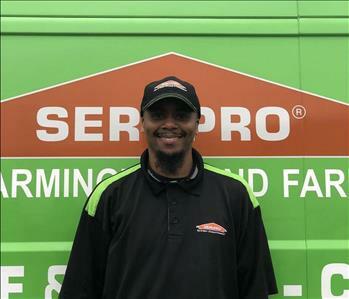 Kevin has 14 years of experience with SERVPRO. Kevin has the following certifications from the Institute of Inspection Cleaning and Restoration Certification (IICRC) Applied Structural Drying Technician - ASD, Water Damage Restoration - WRT, Fire, and Smoke Restoration - FSRT. He is responsible for proper mitigation of damage to walls, ceilings, and windows to remove the effects of water damage such as mold and moisture. His time in the field has helped him excel in monitoring, gaining the trust of the customer's needs by communicating and responding to their concerns and showcase carpet cleaning. 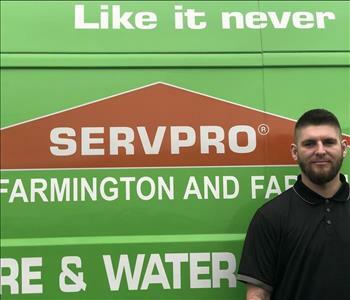 Kyle has 6 years of experience with SERVPRO. Kyle has the following certifications from the Institute of Inspection Cleaning and Restoration Certification (IICRC) Applied Structural Drying Technician - ASD, Water Damage Restoration - WRT, and Xactimate proficient. He ensures that quality production is performed on all jobs. 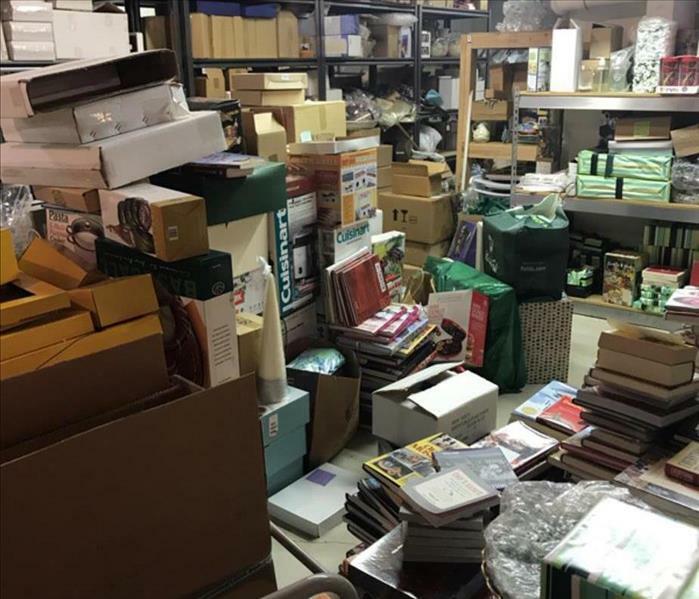 He is responsible for proper mitigation of damage to walls, ceilings, windows, and room accessories to remove the effects of water damage such as mold, and moisture. His time in the field has cultivated a talent for customer service, earning the trust and loyalty of our customers. 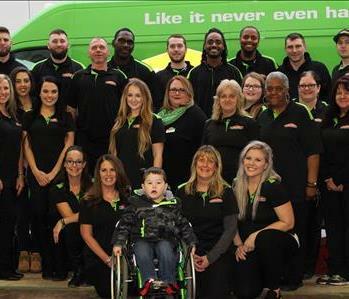 SERVPRO of Rochester production crew chief. 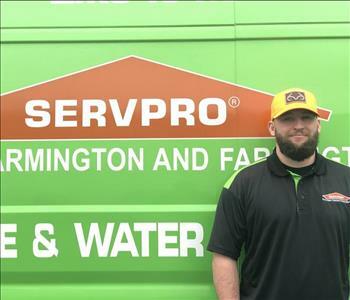 Colt has 6 years of experience with SERVPRO. Colt has the following certifications from the Institute of Inspection Cleaning and Restoration Certification (IICRC) Water Damage Restoration - WRT. He ensures that quality production is performed on all jobs. He is responsible for proper mitigation of damage to walls, ceilings, windows, and room accessories to remove the effects of water damage such as mold, and moisture. His time in the field has shown what a dependable and hardworking technician he is. Colt is a multi-tasker and is motivated to help make every water damage "Like it never even happened." 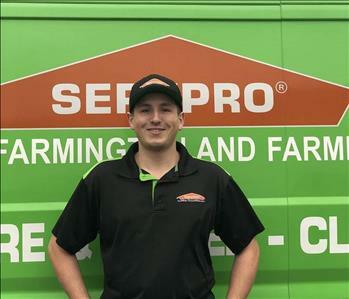 Sam is a Production Technician at SERVPRO of Rochester. Sam recently joined our team but has several years of experience as a production technician. Trent is a Production Technician at SERVPRO of Rochester. Trent has been working on our team for 1 year. He is a great addition because of his positive attitude. 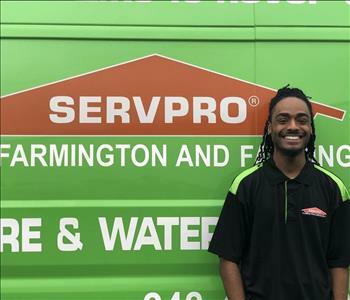 Frank is a Production Technician at SERVPRO of Rochester. He has 8 years of experience and has the following certifications from the Institute of Inspection Cleaning and Restoration Certification (IICRC): Water Damage Restoration. Lance is a Production Technician at SERVPRO of Rochester. He is a newer member of our team and enjoys learning new things every day. 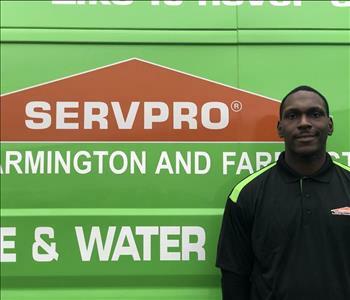 Justin is a part-time Production Technician at SERVPRO of Rochester and a part-time firefighter for the Detroit Fire Department. Justin has several years of experience as a Production Technician. Linda is the Janitorial Manager at SERVPRO of Rochester. She has been a member of our team for 6 years and has the following certifications from the Institute of Inspection Cleaning and Restoration Certification (IICRC): Water Damage Restoration. 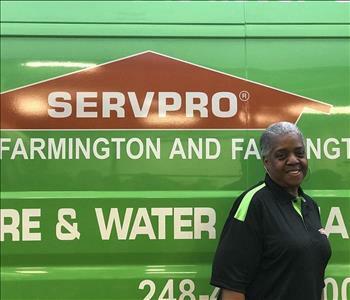 Rennae is a Cleaning Technician at SERVPRO of Rochester, she has 20+ years of experience. Rennae has expertise in fire cleans and has the following certifications from the Institute of Inspection Cleaning and Restoration Certification (IICRC): Water Damage Restoration, Fire & Smoke Restoration. Wilma is the Commercial Cleaning Supervisor at SERVPRO of Rochester. She has 15+ years of experience and has expertise in cleaning commercial buildings. 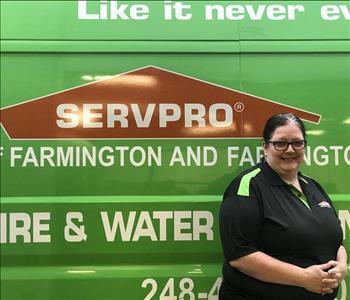 Wilma takes care of the commercial buildings that SERVPRO of Rochester cleans on a regular basis. 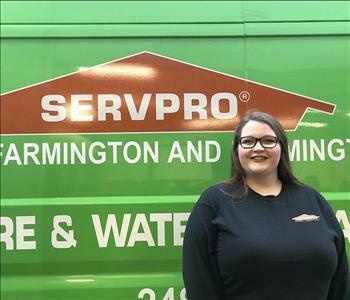 Kaylee is a Cleaning Technician at SERVPRO of Rochester. She has been a member of our team for 2 years. 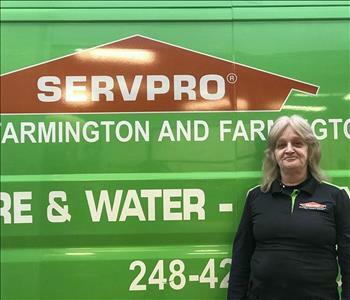 Kim is a Cleaning Technician at SERVPRO of Rochester. She has been a member of our team for 2 years. Jeanne is the Contents Manager of SERVPRO of Rochester. She has 5 years of experience and has the following certifications from the Institute of Inspection Cleaning and Restoration Certification (IICRC): Water Damage Restoration. She handles all of our pack-out and pack-back jobs by using iCat software. Renee is a Marketing Representative at SERVPRO of Rochester. She has 3 years of experience and loves going out on the road every day to meet with business owners to create ERPs. She also enjoys engaging with insurance agents and other potential contacts. 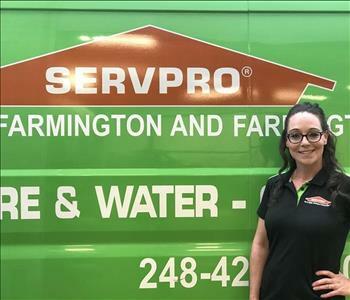 Angela is a Marketing Representative at SERVPRO of Rochester. She has 5 years of experience and enjoys creating relationships with insurance agents and other business contacts. She also enjoys helping out in our contents department when needed. Kortney is the Online Marketing Manager at SERVPRO of Rochester. She has 5 years of experience and enjoys working on the website as well as creating content to share throughout our social media sites. Nichole is a Job File Coordinator at SERVPRO of Rochester. She is a newer member of our team and is enjoying learning all about the industry. She oversees the jobs from beginning to end and makes sure everything goes as smoothly as possible. Heather is a part-time Administrative Assistant at SERVPRO of Rochester, she has several years of experience. She assists in the office by communicating with customers about their needs and creating estimates. Heather often helps with SERVPRO's Storm team by going to other states to assist with the clean-up. 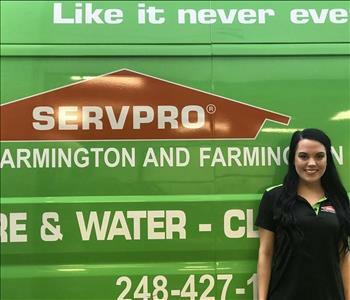 Briana is our Office Manager at SERVPRO of Rochester. She is great at working with customers and their insurance company to get the job done. Briana has 6 years of experience and has the following certifications from the Institute of Inspection Cleaning and Restoration Certification (IICRC): Water Damage Restoration. 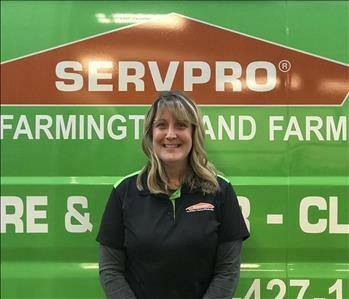 Laurie is the Operations Manager at SERVPRO of Rochester. She has 15 years of experience and has the following certifications from the Institute of Inspection Cleaning and Restoration Certification (IICRC): Water Damage Restoration. 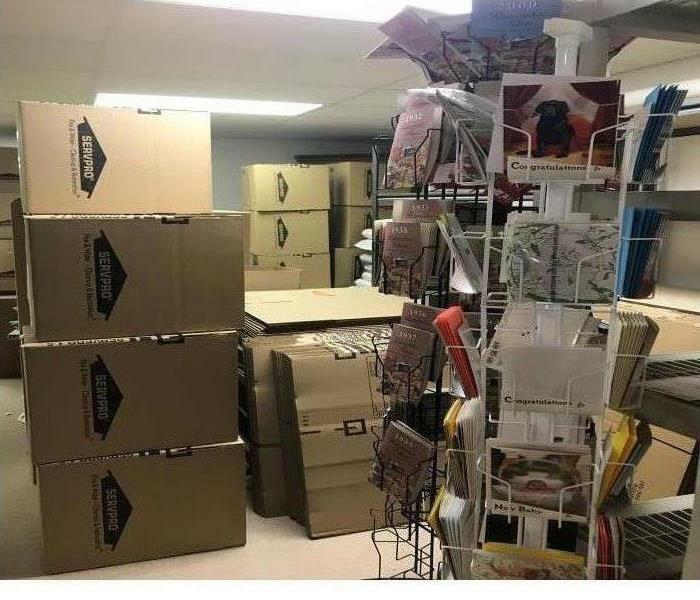 How Does SERVPRO Handle Your Belongings?